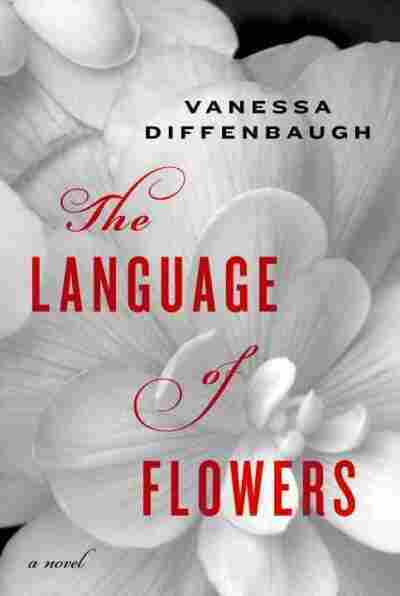 The Language Of Flowers NPR coverage of The Language of Flowers: A Novel by Vanessa Diffenbaugh. News, author interviews, critics' picks and more. Victoria, the orphaned heroine of Vanessa Diffenbaugh's debut novel, is privy to a secret language of flowers that dates to Victorian England. August 27, 2011  Victoria Jones is often sullen, silent and hostile, but she learns to communicate through flowers. Vanessa Diffenbaugh's debut novel tells the story of this woman, who struggles to overcome her troubled childhood spent in a series of foster homes. August 23, 2011  The orphaned heroine of Vanessa Diffenbaugh's moving, if not somewhat saccharine, debut novel is privy to a secret language of flowers dating back to Victorian England. It was my eighteenth birthday. In the living room, a row of fidgeting girls sat on the sagging couch. Their eyes scanned my body and settled on my bare, unburned feet. One girl looked relieved; another disappointed. If I’d been staying another week, I would have remembered each expression. I would have retaliated with rusty nails in the soles of shoes or small pebbles in bowls of chili. Once, I’d held the end of a glowing metal clothes hanger to a sleeping roommate’s shoulder, for an offense less severe than arson. But in an hour, I’d be gone. The girls knew this, every one. From the center of the couch, a girl stood up. She looked young—?fifteen, sixteen at most—and was pretty in a way I didn’t see much of: good posture, clear skin, new clothes. I didn’t immediately recognize her, but when she crossed the room there was something familiar about the way she walked, arms bent and aggressive. Though she’d just moved in, she was not a stranger; it struck me that I’d lived with her before, in the years after Elizabeth, when I was at my most angry and violent. Inches from my body, she stopped, her chin jutting into the space between us. Behind her, the row of girls on the couch squirmed. A hood was pulled up, a blanket wrapped tighter. Morning light flickered across a line of lowered eyes, and the girls looked suddenly young, trapped. The only ways out of a group home like this one were to run away, age out, or be institutionalized. Level 14 kids weren’t adopted; they rarely, if ever, went home. These girls knew their prospects. In their eyes was nothing but fear: of me, of their housemates, of the life they had earned or been given. I felt an unexpected rush of pity. I was leaving; they had no choice but to stay. I tried to push my way toward the door, but the girl stepped to the side, blocking my path. A young woman working the night shift poked her head out of the kitchen. She was probably not yet twenty, and more terrified of me than any of the girls in the room. I waited, ready, as the girl before me pulled her stomach in, fists clenched tight. But after a moment, she shook her head and turned away. I walked around her. I had an hour before Meredith would come for me. Opening the front door, I stepped outside. It was a foggy San Francisco morning, the concrete porch cool on my bare feet. I paused, thinking. I’d planned to gather a response for the girls, something biting and hateful, but I felt strangely forgiving. Maybe it was because I was eighteen, because, all at once, it was over for me, that I was able to feel tenderness toward their crime. Before I left, I wanted to say something to combat the fear in their eyes. Walking down Fell, I turned onto Market. My steps slowed as I reached a busy intersection, unsure of where to go. Any other day I would have plucked annuals from Duboce Park, scoured the overgrown lot at Page and Buchanan, or stolen herbs from the neighborhood market. For most of a decade I’d spent every spare moment memorizing the meanings and scientific descriptions of individual flowers, but the knowledge went mostly unutilized. I used the same flowers again and again: a bouquet of marigold, grief; a bucket of thistle, misanthropy; a pinch of dried basil, hate. Only occasionally did my communication vary: a pocketful of red carnations for the judge when I realized I would never go back to the vineyard, and peony for Meredith, as often as I could find it. Now, searching Market Street for a florist, I scoured my mental dictionary. After three blocks I came to a liquor store, where paper-wrapped bouquets wilted in buckets under the barred windows. I paused in front of the store. They were mostly mixed arrangements, their messages conflicting. The selection of solid bouquets was small: standard roses in red and pink, a wilting bunch of striped carnations, and, bursting from its paper cone, a cluster of purple dahlias. Dignity. Immediately, I knew it was the message I wanted to give. Turning my back to the angled mirror above the door, I tucked the flowers inside my coat and ran. I was out of breath by the time I returned to the house. The living room was empty, and I stepped inside to unwrap the dahlias. 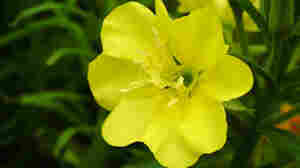 The flowers were perfect starbursts, layers of white-tipped purple petals unfurling from tight buds of a center. Biting off an elastic band, I detangled the stems. The girls would never understand the meaning of the dahlias (the meaning itself an ambiguous statement of encouragement); even so, I felt an unfamiliar lightness as I paced the long hall, slipping a stem under each closed bedroom door. The remaining flowers I gave to the young woman who’d worked the night shift. She was standing by the kitchen window, waiting for her replacement. “Thank you,” she said when I handed her the bouquet, confusion in her voice. She twirled the stiff stems between her palms. Meredith arrived at ten o’clock, as she’d told me she would. I waited on the front porch, a cardboard box balanced on my thighs. In eighteen years I’d collected mostly books: the Dictionary of Flowers and Peterson Field Guide to Pacific States Wildflowers, both sent to me by Elizabeth a month after I left her home; botany textbooks from libraries all over the East Bay; thin paperback volumes of Victorian poetry stolen from quiet bookstores. Stacks of folded clothes covered the books, a collection of found and stolen items, some that fit, many that did not. Meredith was taking me to The Gathering House, a transitional home in the Outer Sunset. I’d been on the waiting list since I was ten. “Happy birthday,” Meredith said as I put my box on the backseat of her county car. I didn’t say anything. We both knew that it might or might not have been my birthday. My first court report listed my age as approximately three weeks; my birth date and location were unknown, as were my biological parents. August 1 had been chosen for purposes of emancipation, not celebration. I slunk into the front seat next to Meredith and closed the door, waiting for her to pull away from the curb. Her acrylic fingernails tapped against the steering wheel. I buckled my seat belt. Still, the car did not move. I turned to face Meredith. I had not changed out of my pajamas, and I pulled my flannel-covered knees up to my chest and wrapped my jacket around my legs. My eyes scanned the roof of Meredith’s car as I waited for her to speak. “Well, are you ready?” she asked. Meredith Combs, the social worker responsible for selecting the stream of adoptive families that gave me back, wanted to talk to me about blame.